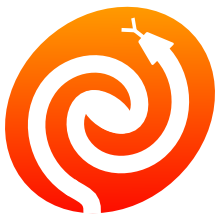 The Astropy Project is a community effort to develop a common core package for Astronomy in Python and foster an ecosystem of interoperable astronomy packages. Please remember to acknowledge and cite the use of Astropy! What's new in Astropy 3.1? More detailed installation instructions (e.g., for building from source code locally) are in the documentation. You can explore the functionality available in Astropy by checking out the Example Gallery, Tutorials, and Documentation. If you encounter something you believe to be a mistake, error, or bug, the best way to get it addressed is to report it on the github issue tracker. If you aren't sure if something is a bug or not, or if you don't have a Github account, feel free to ask on one of the forums. If you believe you know how to fix the problem, please consider contributing! If you use Astropy in your work, we would be grateful if you could include an acknowledgment in papers and/or presentations. See Acknowledging & Citing Astropy for details. You can also purchase apparel and trinkets from fashion.astropy.org, and a portion of the profits go to support the project!